To see what happened in 2018, look below! Featured Teller: Due to a family emergency, Terry Rollins will not be the featured teller. Instead the featured teller will be Lyn Ford. Tactile Touches, Moving Moments: Enriching Stories for Active Audiences- Enhanced storytelling with young children. Enhance your storytelling in ways that communicate and enrich socio-emotional and tactile-kinesthetic learning for young audiences, ages 4 through 9. Model tales and tips for telling with active learners and listeners. Intended audience: Educators and other mentors: teachers, librarians, ministers, mentors who work with young children ages 4-9, after-school care educators, parents. Pre-Conference Cancellation: The Friday afternoon pre-conference has been cancelled. You may still register for a Friday morning Pre-Conference or for the entire Conference. Only the Friday afternoon pre-conference workshop has been cancelled. See the Schedule for details. you’ll want to be here." Terry Rollins grew up in rural North Carolina where stories were often shared around the kitchen table and on the front porch. 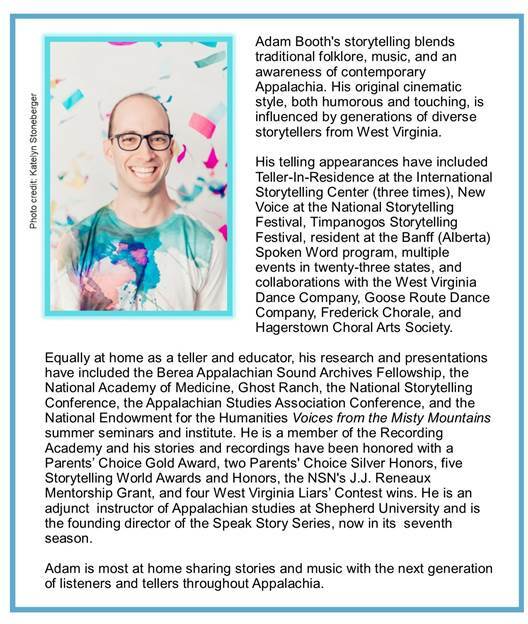 As a professional storyteller for the past 30 years, he has continued to share stories and folktales that carry you back in time to a simpler, less complicated place. Terry lives in coastal Carolina, in the land of Blackbeard. 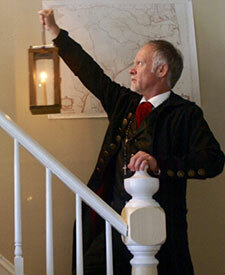 He leads the historic ghost walk in Washington, NC, the first town in America named for George Washington. In addition to his love of pirate tales and ghost stories, Terry enjoys sharing humorous stories and folktales with his mischievous grin and mercurial energy! Terry is the Youth Services Librarian at the Brown Library in historic Washington, NC. Do you need other accommodations so events will be accessible? Please tell us. Use the Registration form, email Conference2018@kystory.org or call 859-940-1735. Sign Language Interpreters will be provided for the Friday and Saturday night concerts. Sign Language Interpreters for the Friday Pre-conferences, Friday Liar’s Contest, and Saturday daytime Conference sessions are provided upon request only. If you plan to attend the conference, please contact us as soon as possible. If you are visually impaired, and you wish to have an assistant accompany you, your assistant will not be charged a registration fee. All other expenses for your assistant are your responsibility.